Hello! I have been so excited to share this La Conner tote bag tutorial with you all! This bag is easier to make than it looks! If you’re like me, bag patterns can leave me feeling a bit overwhelmed. 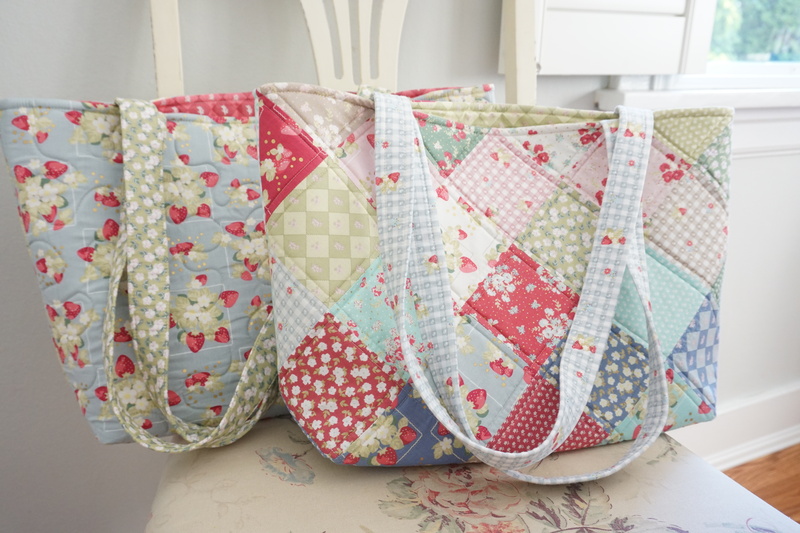 My goal for this video tutorial was to to show you that tote bags are actually quite simple and fun to make! Heads up…the La Conner tote bag video tutorial can be found at the bottom of this post. 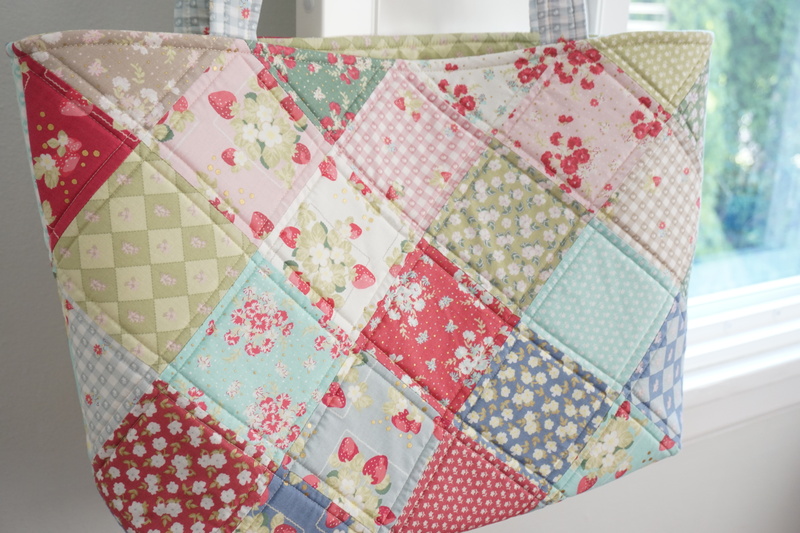 I had the wonderful opportunity to film this tutorial, among a handful of other wonderful projects (including a quilt as-you-go tutorial! ), at Fat Quarter Shop’s studio back in June. I was super-duper nervous during the filming process. However, it was so worth it as filming this tutorial really makes this project crystal clear…something that a photo tutorial couldn’t quite capture without feeling overwhelming. The fabrics used are from my 2nd fabric collection called La Conner for Lecien Fabrics. 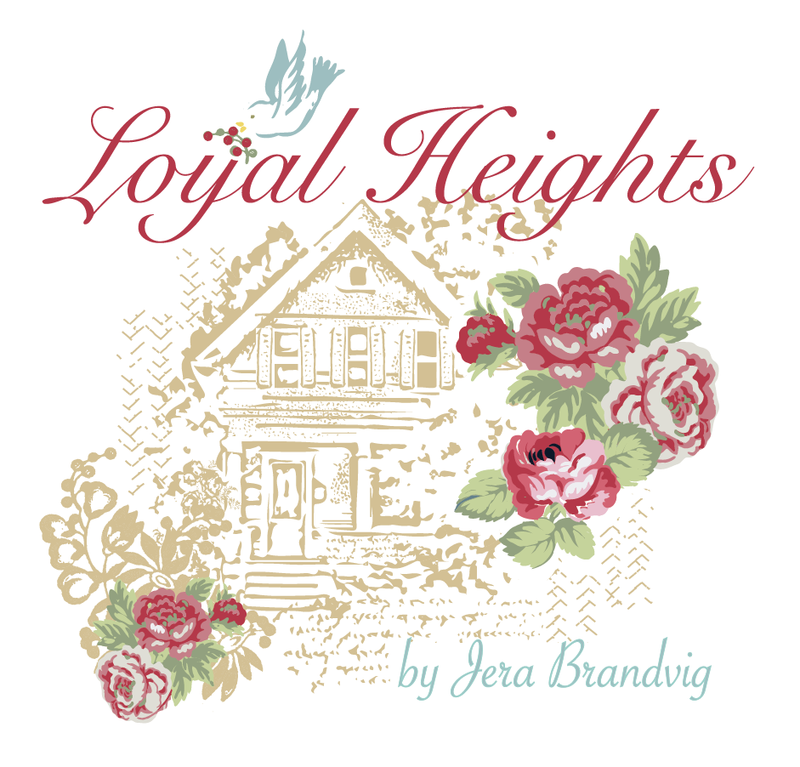 You can find my fabric, lace and thread at Fat Quarter Shop, inlcuding a list of other shops HERE. 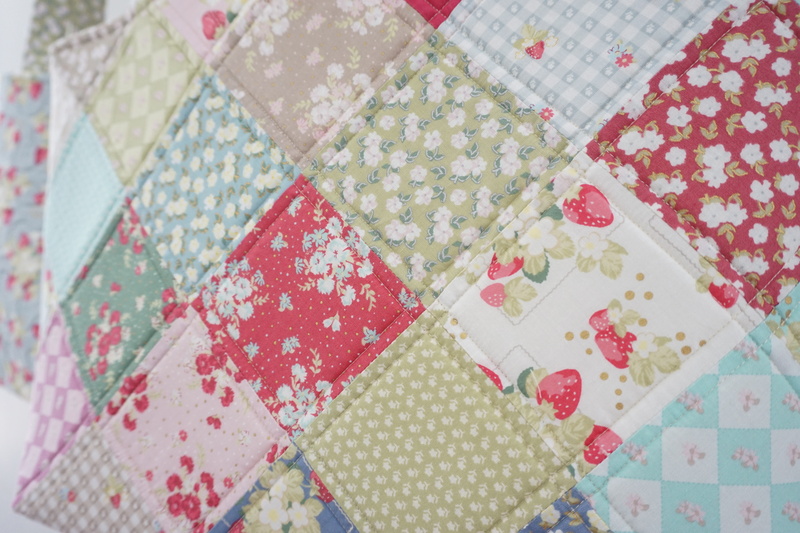 I did simple, straight-line quilting which always seems to be my go-to quilting style. 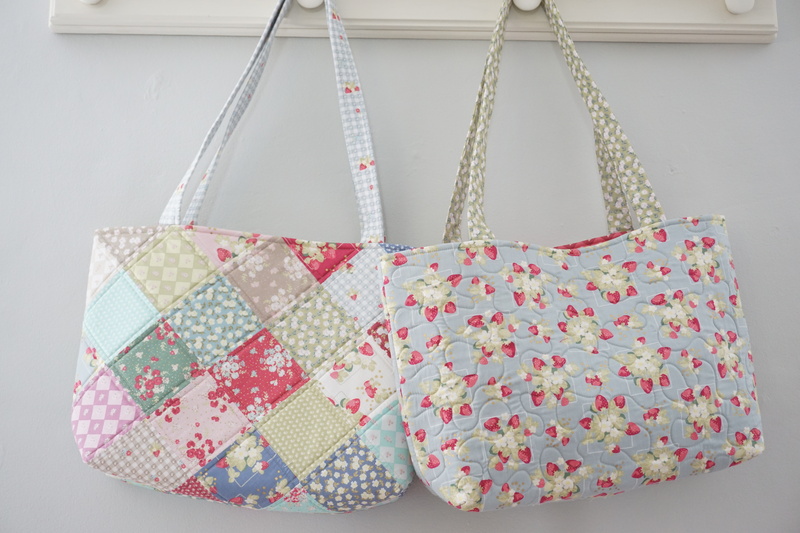 In the video tutorial I also go over how to make sturdy, fabric-covered straps. I truly hope you enjoy the tutorial and that you’re able to make a tote bag for yourself! 🙂 A big thank you to Fat Quarter Shop for inviting me out to film some tutorials for them. My intentions for this blog have always been to inspire you to create beautiful things, and this beautifully put together video tutorial completely enables that! Really quick – I got a good question from a comment below so I thought i’d clarify it here. The type of bag strapping I used in this tutorial (before I covered it with fabric), is polypro bag strapping which you can usually find per the yard at your crafts store. You can also find it here. You could probably also use the soft and stable batting for the straps as well, though I’ve never tried it. Easily customize the width of your strap, as explained in the tutorial. Thanks! I have made many bags like this and I wish I would have had your tutorial when I first started. You explained everything perfectly and I like seeing what you are doing. Thanks. Love that fabric. 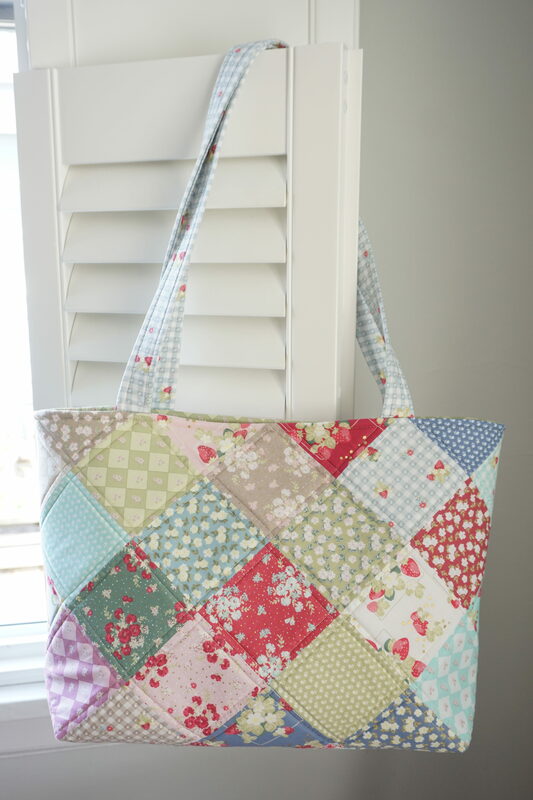 Your tote bags are so pretty and thank you for sharing your great tutorial. Excellent tutorial. Very easy to follow. Thank you. Thank you so much for this tutorial! Finally I understand how to attach a lining. I can’t wait to make my own bag! That’s a relief to hear, considering I was a ball of nerves being in front of the camera ;-p Thank you! I loved the derails in your video, now I feel confident to make my first tote bag. I love your La Conner fabric lone so pretty. 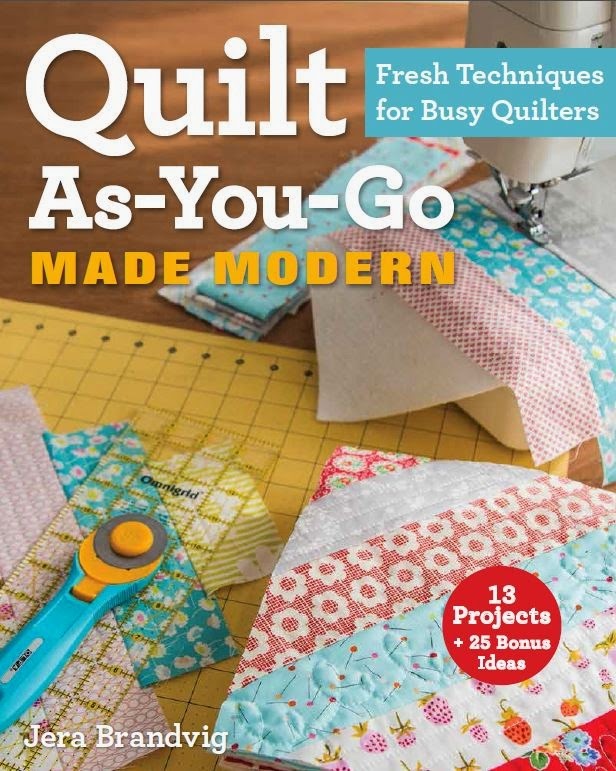 I’m fairly new to quilting and your quilt as you go book was the first book I bought…I airways refer to the binding instruction whenever I bind a quilt. 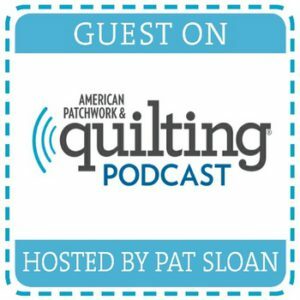 Thank you so much for sharing your quilting tips and knowledge. Pretty bag, it’s darling in your LaConner line! Nice job on the video too. I’ve made many kinds of bags and purses through the years, and this is very detailed for those who are new to this kind of project. Well done! Love your tutorial. Question: do you use the Soft and Stable for your straps or another product? You showed a wider strap in a package so I wondered what that was. Thanks. I think the soft and stable batting could work as well! Thank you! I will check out the strap. I’ve made many quilts but am new to bags. I’ve made quite a lot of bags but am new to patchwork and you made it look so simple and effective. I’ll definitely be having a go at this one! Thank you. 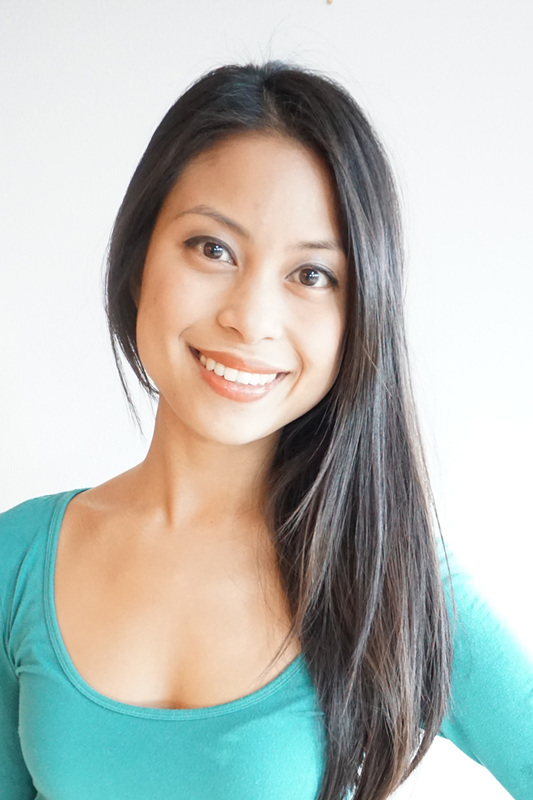 Hello Jerra, thank you for making this tutorial so easy to follow. I appreciate the detailed instructions as I’m new at doing patchwork, so need all the help I can get !. Also, I found out that your fabric is available in the UK ….yay ! 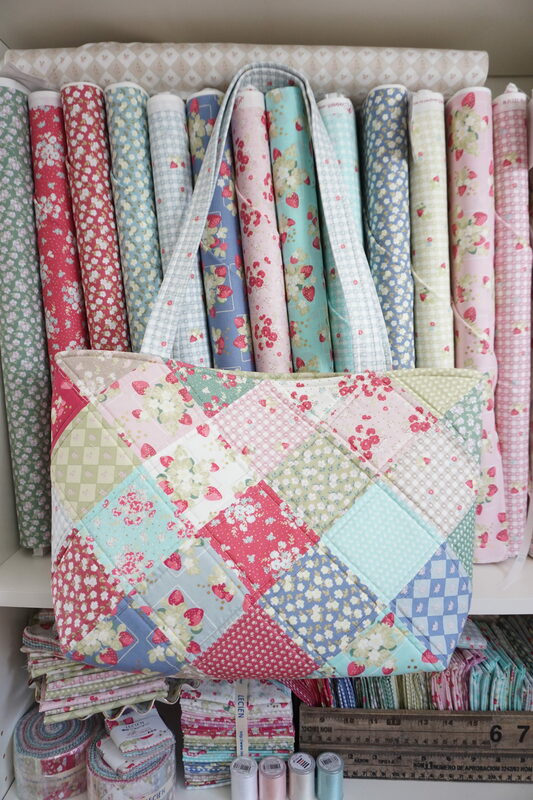 I can’t wait to have a go at making this bag. I enjoyed watching your tutorial on the patchwork bag . . . you demonstrate and explain instructions understandably well. Thank you! Can you make more than one bag with the charm pack and the batting? I just ordered both 🙂 thank you for showing us how! You did a great job! You really do explain the way to make this tote bag so well. Thank you for this. I am learning to sew and I just finished the Le Conner Tote and it turned out beautiful. I have a couple flaws but I don’t think anyone but myself will notice. Your video tutorial was really clear and easy to follow! 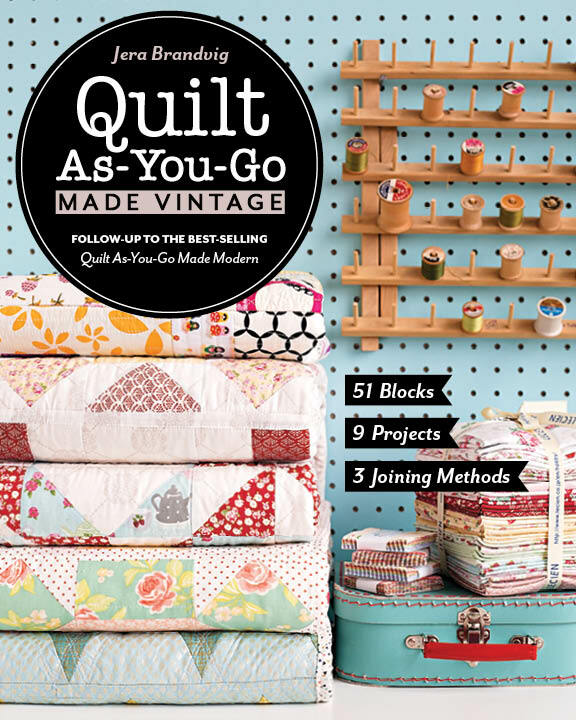 I also got your book Quilt As You Go Made Modern for Christmas so I am on my way! 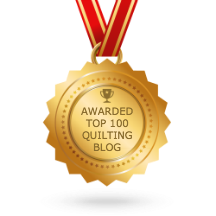 Thank you sew much for your kind words 🙂 Happy quilting! Do you have the written instructions on how to make this tote. I would love to have a copy of it so I can make it as a gift. Thank you so much for your tutorial. I’m new to sewing and my first bag was awful but I’m looking forward to trying again. What a great video! Every step is crystal clear. I’ve made tote bags in the past but have always had problems with the straps; now I know what I was doing wrong. Thank you!!!!!!!!!!!! I think you nailed it with this video! Nice and clear with ALL the directions right there. Also love your Quilt As You Go book. Thank you! 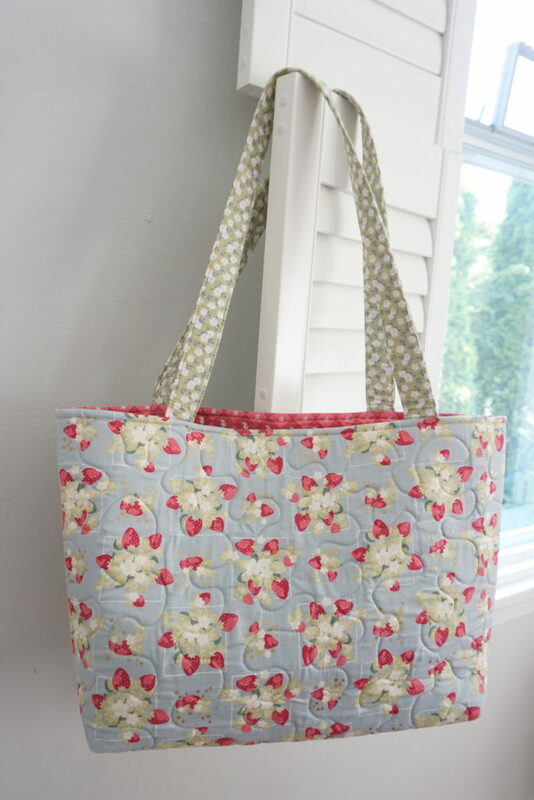 I have made many totes, and I love this one! Is there a way to easily add a zipper?